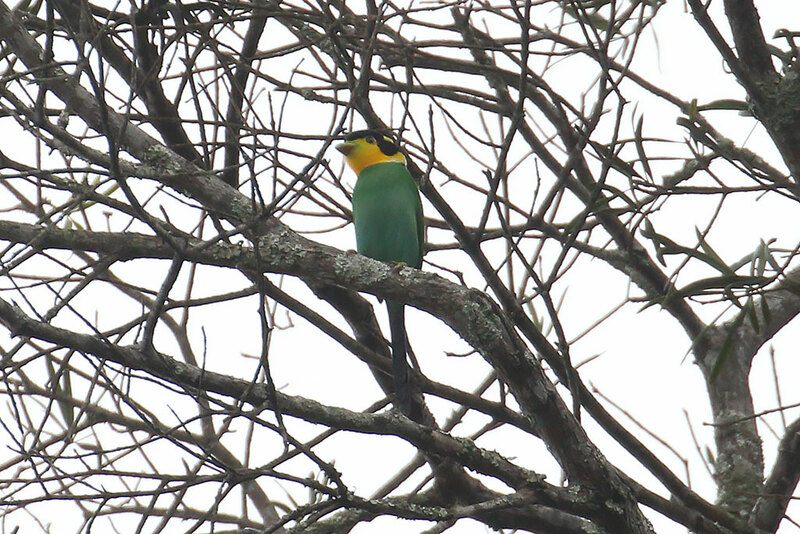 Today we spent the whole day birding around Mount Aural. 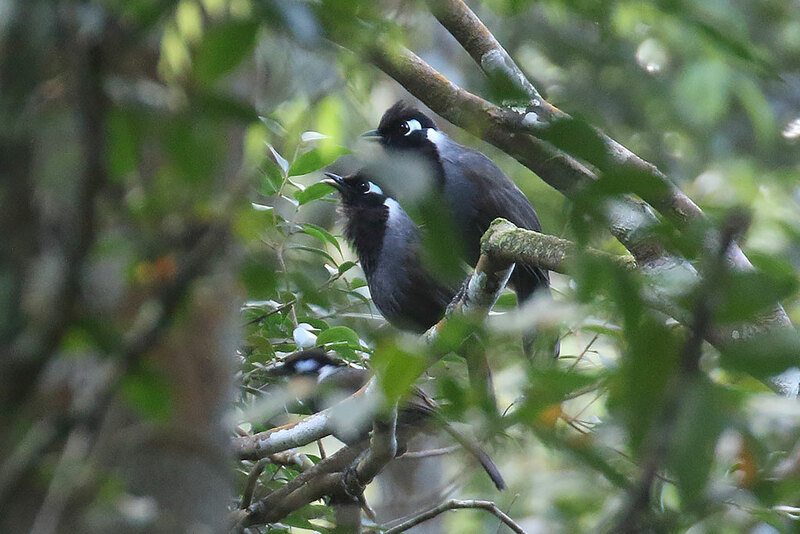 First thing to do was to try for the endemic Cambodian Laughingthrush. We walked down to the old camp. No joy for the first hour or so, but we soon heard a flock calling in the distance. They never came that close, but we got some decent views. 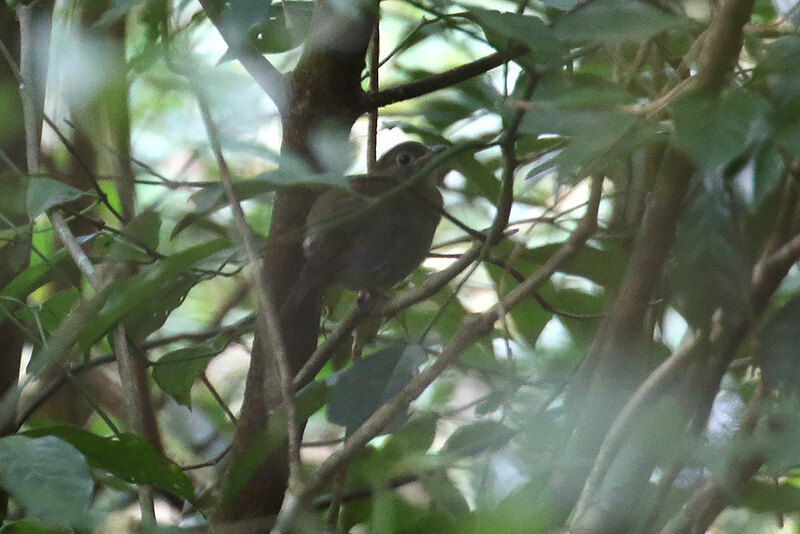 Then we tried for Blue Pitta nearby. We heard one calling fairly close, but only one of us got a brief view. 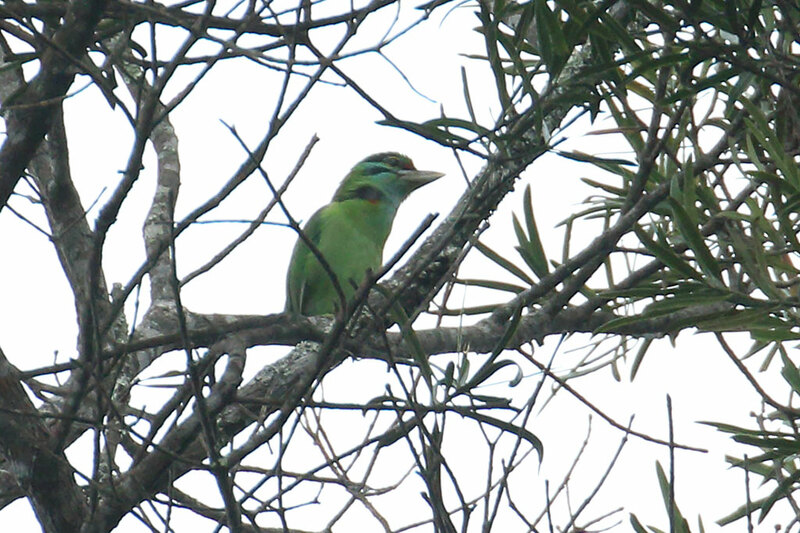 We heard Blue Pitta on a few more occasions throughout the next two days on the mountain, but none were seen. 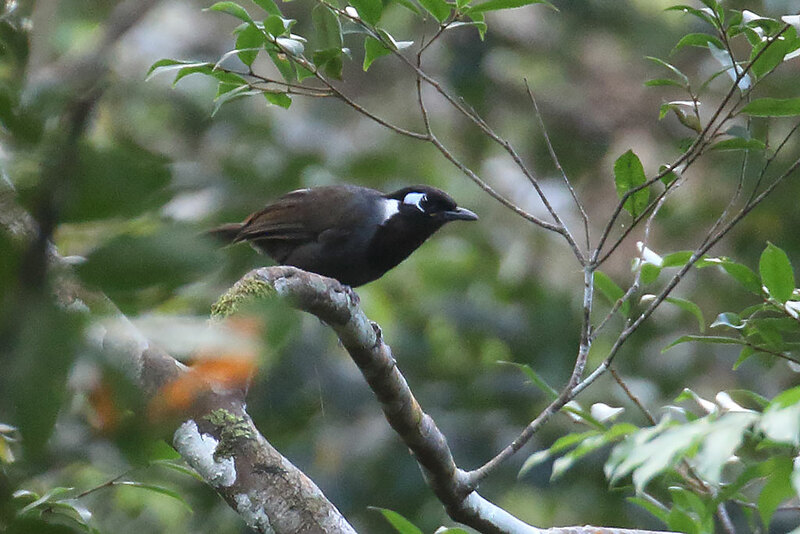 Went back up for lunch when another flock of Cambodian Laughingthrushes were heard. 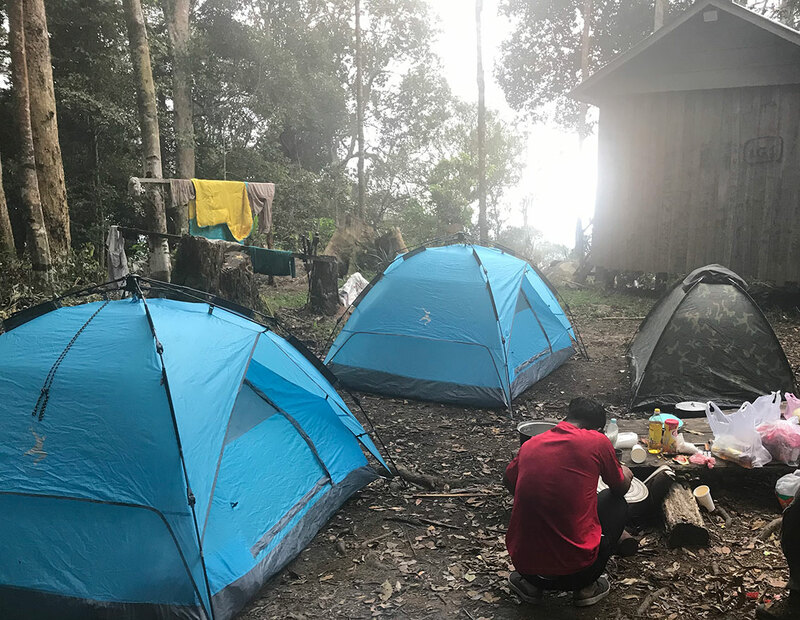 This time they came close to the camp, giving much better views. 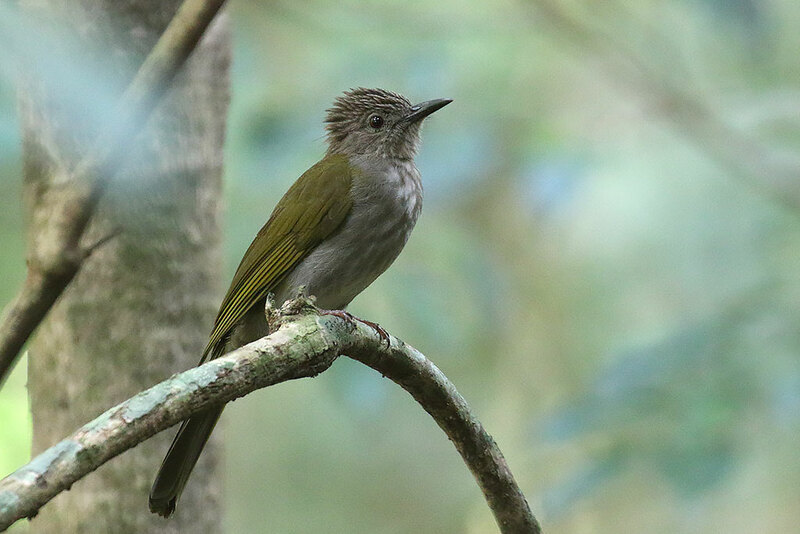 Our second endemic in three days, and almost worth the climb! In the afternoon we birded other trails throughout the forest. Birds seen throughout the day were Long-tailed Broadbill, Mountain Bulbul, Moustached Barbet, Wreathed Hornbill, Orange-headed Thrush, White-throated Rock Thrush, Blyth’s Shrike-babbler, Streaked Wren-babbler and a skulking White-tailed Robin in the undergrowth (the latter will likely be split as ‘Cambodian Blue Robin’ Myiomela cambodiana). Around the camp at night we heard Collared Owlet, Mountain Scops Owl and Great-eared Nightjar. 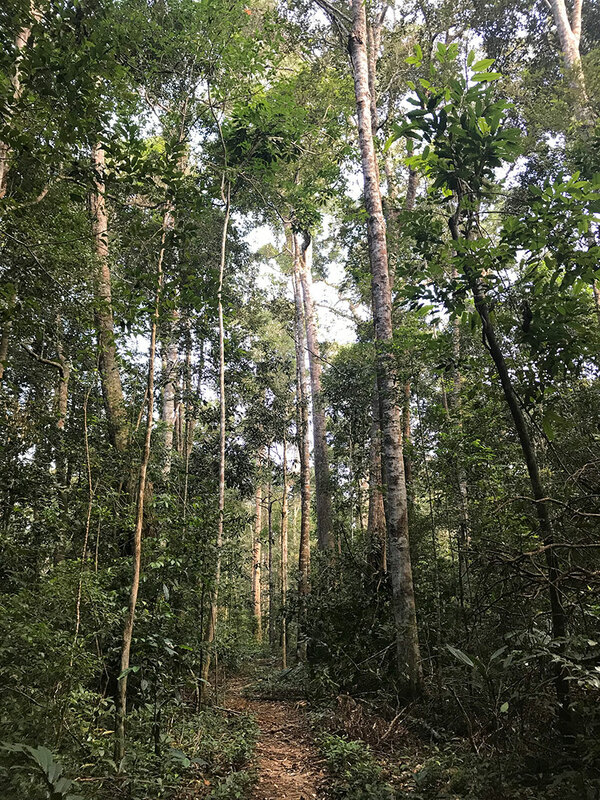 Mount Aural, Cardamom Mountains, Cambodia. December 28th, 2018. Mount Aural, Cambodia. December 28th, 2018.